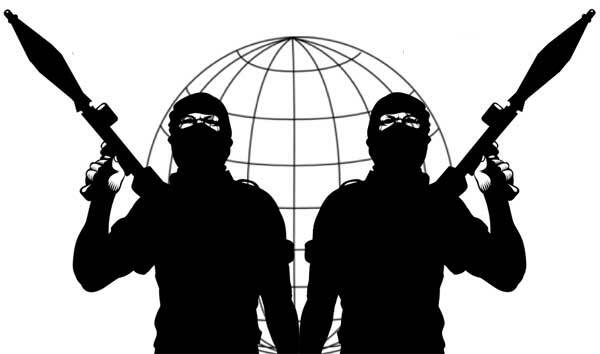 The states which are nurturing and nursing terrorists must be held responsible for the conduct of non-state actors because they operate from within the territorial boundaries of the host country. Every state is bound to respect the sovereignty of other countries, and hence these states cannot avoid its liability by any excuses. India’s vital interests can be better served by invoking the expanded doctrine of offensive self-defence, which has witnessed a normative evolution, particularly in relation to non-state actors, following the events of September 11, 2001. This expanded doctrine, has also gained acceptance of the Western powers and scholars which permit the victim states to use force against non-state actors and breach the territorial sovereignty of foreign states in response to an accumulation of terrorist attacks. For the past two years, the New Year celebrations in India were marred by brazen attempts of terror from our hostile neighbour. On the preceding night of January 01, 2015, the Indian Coast Guard neutralised a boat whose occupants were carrying lethal explosives but in a shameful stand taken by the Congress party, a total benefit of doubt was given to Pakistan. On January 02, 2016, a group of terrorists entered the Indian Air Force base at Pathankot with the aim of destroying the strategic war assets in a sneak attack that was averted with advance intelligence intercepts and inputs and ended with the terrorists being eliminated. Berlin is willing to sacrifice any part of the EU except the free trade zone. The British establishment began eating is own this week, while at the same heaping scorn on those who had the temerity to have their own views. Prime Minister David Cameron is finished but not gone. The head of the loyal opposition, Jeremy Corbyn, was given a vote of no confidence by Labourites in Parliament, but he refused to step down immediately after the June 28 motion. The global stock markets rose, and we were assured by leading experts that this means nothing since the world is ending. And the best and brightest looked for ways to annul the will of the people, since the people were being very silly indeed. Yet the sun rose in Her Majesty’s realm, the children went to school (assuming their teachers weren’t on strike) and the financial wizards of the City continued to make money, but not always for their clients, which is as it should be, I suppose. The British survived the Battle of Britain, and they will surely survive this. The ones who didn’t survive the Battle of Britain were the Germans. And their ability to survive this is much more uncertain than that of the British. The reasons are fairly obvious, but since everyone in the media is focused on the end of Great Britain, it is a story they haven’t noticed. Let’s begin with a seemingly innocent statement made by German Foreign Minister Frank-Walter Steinmeier: “Let’s keep our heads up! [We have] every reason to be proud of EU integration and to continue it…Let’s be honest. We need a more flexible EU. You’re not a bad European if you want to advance at a slower pace.” On the surface, this is a reasonable and conciliatory statement. Last year, at the height of the F-35/A-10 close air support (CAS) debate, Chief of Staff of the Air Force General Mark A. Welsh III stated that the Air Force averaged 20,000 CAS sorties a year in Afghanistan. But was it really CAS? Within the fighter/attack community, the narrative of seasoned aviators who’ve “been there, done that” tout that airpower did not really perform CAS at all. Instead, they argue it featured glimmers of CAS sprinkled on what was actually ground-directed dynamic targeting. Not only are they right, but the distinction is even more important, as it biases and bounds the air support dialogue of the A-10, its potential successors (A-X2 and/or OA-X), and even the F-35. Air support in Afghanistan worked, but it is a mistake to think it was all CAS. India has not addressed the influx of refugees and illegal immigrants from Bangladesh. It’s time for that to change. Sanjeev Tripathi is a former head of the government of India’s Research and Analysis Wing. India’s geostrategic location, its relatively sound economic position vis-à-vis its neighbors, and its liberal democratic credentials have long made it a magnet for people in other parts of the region who are fleeing persecution in their countries of origin or looking for a better life. Refugees/illegal immigrants from Tibet, Afghanistan, Sri Lanka, Myanmar, Pakistan, and Bangladesh have found shelter in India. While refugees coming from other areas—including Tibet, Sri Lanka, Afghanistan, and Myanmar—have been dealt with in a somewhat systematic, although ad hoc, manner, the influx of refugees/illegal immigrants from Bangladesh has largely been left unattended. This neglect has adversely impacted the interests of local populations in the areas seeing large-scale influxes of illegal immigrants as well as India’s national security interests. Further, the absence of national refugee laws has blurred the distinction between refugees and economic migrants, leading to the denial of any assistance to even genuine asylum seekers. It now poses an enormous problem for India and the millions of affected people. Further delay in addressing the problem will only make matters worse. The Indian Space Research Organisation (ISRO) successfully launched 20 satellites on 22 June 2016. This PSLV C-34 mission carried the Cartosat 2 series satellite as its main payload and 19 other micro and nano satellites. Amongst these 19 satellites, 17 have been launched for foreign customers. 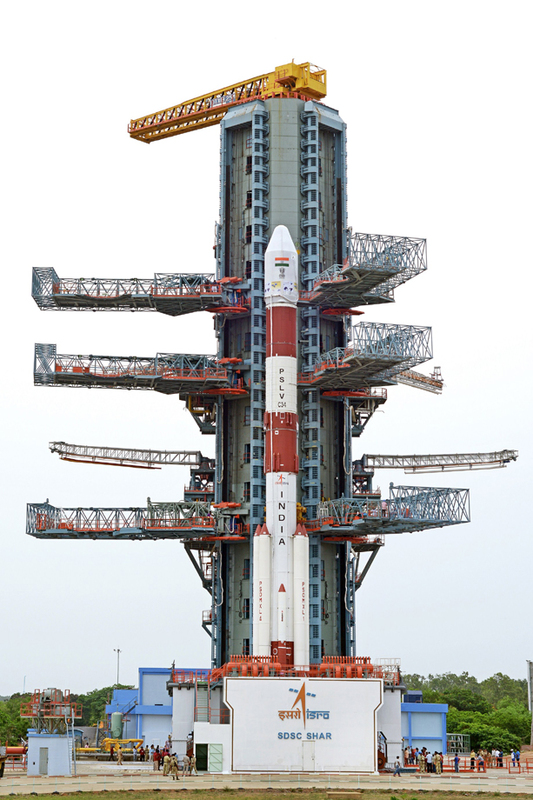 The most significant feature of this PSLV mission was the launch of several satellites by using a single rocket. Launching several satellites on one launcher saves both time and money. Particularly, if the satellites are required to work in tandem, then it is better that they are launched together. Launching of more than one satellite in a single mission is not a very unique activity. In the past, many such launches have taken place. However, the launch of eight or more satellites is particularly noteworthy. During 2008, ISRO had launched 10 satellites in one mission and now, with the PSLV C-34 mission, it has doubled that number. The art of persuasion works only when the ground is prepared and there is a degree of satisfaction for all parties involved. India’s NSG push violated this sacred principle. Brexit, a seismic moment in Europe, came as a blessing in disguise for India as it came on the same day as the setback in Seoul. India’s miscalculation on the Nuclear Suppliers Group (NSG) membership bid paled into insignificance compared to the British Prime Minister’s misadventure in holding a referendum on the U.K.’s membership of the European Union. Otherwise there would have been greater criticism of the foreign policy fiasco, which not only resulted in a rebuff to India but also gave a veto to China on India’s nuclear credentials and hyphenated India and Pakistan. Moreover, we have elevated NSG membership to such heights that it appears more important and urgent than other items on our wish list such as permanent membership of the UN Security Council, signing of the Nuclear Non-Proliferation Treaty (NPT) as a nuclear weapon state, and membership of Asia-Pacific Economic Cooperation (APEC). Top-ranking military officials from Russia and the United States recently visited Central Asia less than a week apart. The Russian defense minister was in Turkmenistan and the commander of the U.S. Central Command visited Uzbekistan and Tajikistan, the three Central Asian countries that border Afghanistan. One -- if not the main -- topic of these meetings would have been the deteriorating security situation just south of the border in Afghanistan. The situation in the eight northern Afghan provinces has grown steadily worse for the past two years and by some estimates half the districts across northern Afghanistan might now be under the control of the Taliban and its foreign allies. It is difficult to judge the current state of affairs in northern Afghanistan. Reports paint a confusing picture but do show that fighting now takes place there regularly. To get a better idea of what the situation is in northern Afghanistan and how this might be viewed from Central Asia, RFE/RL’s Turkmen Service, known locally as Azatlyk, gathered a majlis, or panel, to discuss current events along the Afghan-Central Asian border. Azatlyk Director Muhammad Tahir moderated the talk. Both of our guests joined in the majlis from Afghanistan. Omar Safi is the former governor of Kunduz Province, which borders Tajikistan; Obaid Ali is a researcher at the Afghanistan Analysts Network. I said a few things about the situation north of the border, but the focus of the talk was northern Afghanistan. Strategically the IMT Highway not only links India to Thailand in Southeast Asia but also provides for greater integration with Myanmar with whom India has had cultural, historical, ethnic and religious ties . Myanmar is strategically important to India as it is the only ASEAN country that shares a border with India and can act as a link between India and ASEAN. Myanmar is India’s gateway to Southeast Asia. Inking of the trilateral pact between India-Myanmar-Thailand (IMT) making way for the IMT Highway provides seamless vehicular movement between SAARC and ASEAN nations, enhancing trade, business, health, education and tourism between India, Myanmar and Thailand. The previously linked Bangladesh, Bhutan, India, Nepal (BBIN) Motor Pact had identified 14 routes for passenger services and seven routes for cargo movement. With a total length of 1,360 kms the IMT Highway will link Moreh in India to Mae Sot in Thailand via Myanmar; along route Moreh (India) to locations of Tamu, Kalewa, Yagyi, Monywa, Mandalay, Meiktila, Nay Pyi Taw, Payagyi, Theinzayat, Thaton, Hpa’an, Kawkareik and Myawaddy in Myanmar, further linking to Mae Sot in Thailand. The road’s construction began in 2012, aimed at completing it by 2016. BEIJING — China has replaced its internet regulator, Lu Wei, the hard-liner responsible for leading the government’s efforts to tighten control over domestic cyberspace and export the ruling Communist Party’s philosophy of web control. Lu wielded expansive powers as head of the Central Leading Group for Cyberspace Affairs since 2014, dictating what 700 million Chinese internet users may view online and acting as gatekeeper for technology companies wishing to do business in China. His successor will be his deputy, former propaganda official Xu Lin, the official Xinhua News Agency reported Wednesday. The departure of Lu, one of the Communist Party’s rising stars and an ambitious ally of President Xi Jinping, had been rumored for months and is not expected to alter the broad direction of China’s internet policy. Xinhua did not mention a new post for Lu, who will keep his concurrent position as deputy head of the party’s propaganda department. He could be in line to lead the department or take over a provincial post, according to political analysts and speculation in Chinese media. But the reshuffle likely means a new face will greet foreign executives like Apple’s Tim Cook and Microsoft’s Satya Nadella who have been dealing with thorny cybersecurity and trade issues on their visits to Beijing. WASHINGTON (Reuters) - U.S. Assistant Attorney General John Carlin said on Tuesday that Chinese hacking activity appears to have declined since the Chinese government vowed last September to stop supporting the hacking of U.S. trade secrets. The assertion supports findings released earlier this month from cyber security firm FireEye that breaches attributed to China-based groups had plunged by 90 percent in the past two years. “Generally, people have seen a change in activity,” Carlin said at the Center for Strategic and International Studies think tank in Washington. But “there is debate about how long lasting” the apparent reduction in activity will be, Carlin said, adding that the private sector and U.S. intelligence officers were likely better positioned to assess hacking trends. Carlin said that agreements on hacking activity with China and among the Group of 20 nations, both announced last year, were important to developing uniform international cyber norms. Certain countries, such as North Korea, continue to be a “difficult actor” on cyber issues, he said. Facing market saturation and more selective consumers, online retailers will need to make better use of data analytics to gain ground. China’s online retail market is the world’s largest, and e-commerce now accounts for more than 13 percent of the country’s total retail sales of consumer goods. In fact, the penetration of e-commerce has begun reaching saturation levels: in top-tier cities, roughly 90 percent of Internet users and 70 to 80 percent of consumers as a whole are shopping online (exhibit). As Chinese consumers enjoy the options and transparency available online, they also are becoming increasingly choosy—often visiting four to five sites before reaching a purchase decision, according to our research. BEIRUT — International terror attacks seemingly inspired by the Islamic State group are increasing as its fortunes fall in Syria and Iraq. The attack on the Istanbul airport was still unfolding Tuesday night when Turkish authorities said IS is the likely culprit, although no group has claimed responsibility so far. If IS is behind the latest carnage, it would be in keeping with its accelerated campaign of exporting terror, a tactic which appears aimed at deflecting attention from mounting territorial losses in Syria and Iraq. Two years after it declared a caliphate across large parts of Syria and Iraq, the Islamic State is in crisis. In the last few weeks, the group has suffered major territorial losses in Iraq, Syria and Libya, and is fighting hard to defend major strongholds. Iraqi forces have retaken the key city of Fallujah west of Baghdad, and Libyan forces have swept into the IS stronghold of Sirte. In Syria, IS militants are fighting off U.S.-backed forces in Manbij, a town on a key supply line from Turkey to the group’s de facto capital, Raqqa. The losses can be added to a growing list of defeats, including the historic Syrian town of Palmyra in March, the Syrian border town of Kobani and the Iraqi city of Tikrit. Turkish investigators pored over video footage and witness statements on Wednesday after three suspected Islamic State suicide bombers opened fire and blew themselves up in Istanbul’s main airport, killing 41 people and wounding 239. The attack on Europe’s third-busiest airport was the deadliest in a series of suicide bombings this year in Turkey, part of the U.S.-led coalition against Islamic State and struggling to contain spillover from neighbouring Syria’s war. President Tayyip Erdogan said the attack should serve as a turning point in the global fight against terrorism, which he said had “no regard for faith or values”. Five Saudis and two Iraqis were among the dead, a Turkish official said. Citizens from China, Jordan, Tunisia, Uzbekistan, Iran and Ukraine were also among the 13 foreigners killed. BERLIN (Reuters) - The German government voiced concern on Tuesday that Islamic State could step up attacks in Europe as it loses territory in Iraq and Syria, and said its domestic intelligence agency is training to respond to a large-scale assault. Interior Minister Thomas De Maiziere welcomed gains made by a U.S.-led coalition against Islamic State (IS) in Iraq and Syria, but said they were not diminishing the risk of attacks in Europe. “On the contrary, we fear that Islamic State will externalize, transfer its activities to Europe, especially because of military losses in the region,” the minister, a member of Chancellor Angela Merkel’s conservative Christian Democratic party, told reporters. Germany has been on high alert for possible large-scale militant incidents - potentially including military-style weapons - since the IS attacks in Paris last November and Brussels in March, Hans-Georg Maassen, the head of the BfV domestic intelligence agency, told the same news conference. He said the agency had carried out several exercises to prepare for such events, and several attacks had already been thwarted. Three Syrian men were earlier this month suspected of planning large-scale attacks in Duesseldorf. WASHINGTON — The latest Russian-US kerfuffle at sea appears to feature a US warship making a close-in, high-speed pass on a Russian ship — but there may be more to the story than what a one-minute and two-second video shows. The incident took place June 17 in the eastern Mediterranean Sea, and involved the US destroyer Gravely and the Russian frigate Yaroslav Mudry. In a video posted June 28 on YouTube by the Russian news agency Sputnik, the Gravely is seen coming up on the Mudry’s port, or left, side, on a roughly parallel course. The Gravely then appears to pick up even more speed and maneuver directly ahead of the Russian, pulling away and rocking the frigate with its wake. “A US destroyer violated international and bilateral agreements by approaching a Russian ship dangerously close this month while it was following its course and didn’t violate any international law standards,” Sputnik wrote in the video’s description. The Russian Defense Ministry, as reported by Sputnik, described the incident. The Kremlin has successfully made itself the most powerful party to this war. The best the White House can do now is to make them own it. Earlier this month, 51 mid-level officers at the U.S. State Department wrote a “dissent cable” arguing for the limited use of U.S. military force against the Syrian regime of Bashar al-Assad. By using standoff weapons and airstrikes on regime targets, they said, the United States could force regime compliance with Syria’s nationwide “cessation of hostilities” and compel the regime to participate in political negotiations to resolve the country’s bloody years-long war. Yet these diplomats seem to have mostly ignored Russia’s role in Syria — and at least for now, it is Russia, not America, that is the decisive force in the Syrian war. Russia has leveraged its September 2015 military intervention on behalf of the Assad regime to establish itself as the central military actor in Syria’s war. With its punishing air campaign in January and February of this year, Russia gave the opposition and its backers a lesson in the destruction Russia can inflict on rebel factions, civilian centers, and key infrastructure. Russia’s intervention successfully stabilized the regime and served to deter the sort of unilateral U.S. action advocated by these State Department officials. Russia has used its military primacy to oblige others — including the United States — to treat it as the gatekeeper to a negotiated solution to the conflict. While ships deliberately ramming one another in open water is an alarming enough occurrence, the competition in the South China Sea took perhaps an even more troubling turn in early 2016. On January 16, the China National Offshore Oil Company — a state-owned enterprise (SOE) — moved an oil rig into position in waters claimed by both China and Vietnam and began operations. The resulting diplomatic firestorm reflected not only rising tensions, but also a clear escalation on the part of the Chinese government with their willingness to use the SOEs as a weapon. This was a disturbing occurrence that is growing ever more likely. The usage of SOEs as offensive instruments of geopolitical conflict must be challenged, and the best way to do so is by doubling down on policies that incubate commercial innovation. It is debatable whether China seeks a peaceful rise as a peer in the community of nations or represents a challenger hungry for hegemony. Yet the structures and behaviors underpinning international order for the past two-plus decades are certainly being challenged in an unprecedented fashion. China and other countries are manipulating their state capitalist economic systems in ways anathema to the free market traditions more common to the globalized landscape. State capitalism and the SOEs it breeds provide a decidedly attractive model, especially for authoritarian countries, but lack one necessary ingredient for long-term success: accountability. Currently SOEs are neither accountable to employees, shareholders, the law, nor (perhaps most importantly) the market. As NATO moves closer to its July summit in the Polish capital of Warsaw, calls are increasing in Western capitals for NATO to re-engage in dialogue with Russia and seek mutual measures of restraint. Today, dialogue and restraint are needed more than ever since the end of the Cold War. In order to prevent misperceptions, miscalculations, and the potential return of a costly arms race, both Washington and Moscow have to rediscover the instruments of diplomatic dialogue, military-to-military exchanges, and verifiable arms control. These calls for caution come at a time of mounting tensions between NATO and Russia. NATO’s Baltic allies (Estonia, Latvia and Lithuania) and the new conservative government in Poland have been particularly vocal in urgingWashington to strengthen military efforts to deter an increasingly aggressive Russia. The latest surge in militarymaneuvers, dangerously close military encounters, and mutual plans for building up forces in the region already recall some of the most dangerous features of the Cold War. Attendees at the Warsaw Summit are expected to agree on a number of additional military measures aimed at reassuring members of the alliance and deterring Russia. The Russian reactions to it will almost certainly not be friendly. Political Warfare in the Gray Zone. Get used to it. What is old is new again. American intelligence agencies are to conduct a major investigation into how the Kremlin is infiltrating political parties in Europe, it can be revealed. James Clapper, the US Director of National Intelligence, has been instructed by the US Congress to conduct a major review into Russian clandestine funding of European parties over the last decade. Britain stunned Wall Street as a majority of British citizens voted Thursday to leave the European Union (E.U. ), and put Britain back on a path to greater economic prosperity and a much stronger nation in the long run — in my opinion.. For all the millions Wall Street pays their so-called experts to make accurate forecasts — they failed miserably, as almost all were predicting Britain would remain in the European Union. Based on that flawed outlook, stocks had rallied all week up until the votes began to be cast on Thursday. Once it became clear that a majority of Brits voted to leave the E.U., stock markets across the globe tanked, oil lost nearly 5 percent on a stronger U.S. dollar, while gold — not surprisingly — surged higher. — Italy’s stock market closed lower by 2,242 points, or -12.48 percent. Here at home, the DOW fell 610 points, or -3.39 percent, to 17,400; while the S&P 500 closed lower by 76 points, or -3.6 percent, to 2,037; and, the NASDAQ lost 202 points, or -4.12 percent, to close at 4,708. For the year, the DOW is essentially flat at +0.14 percent, while the S&P 500 moved back into negative territory for the year at -0.32 percent; and the NASDAQ is down nearly 6 percent year-to-date. “Simultaneous to efforts aimed at deradicalisation will have to be the strengthening of law enforcement and the rest of the criminal justice system.” Picture shows Belgian soldiers near the Grand Place in Brussels. It is important to bring about greater coordination among countries and chalk out a strategy to exploit the fault lines between terrorist groups such as the Islamic State and al-Qaeda. One question uppermost in many minds since last week is whether Brexit will have an impact on the fight against terror. There is nothing to suggest that when Brexit becomes a reality, the British resolve to counter jihad and all that goes with it will be greatly diluted. But then, the country will have to contend with a possible disruption of international law enforcement networks and its effect on counterterrorism. There is one view that in isolation from the rest of the present European Union (EU), Britain may actually be better equipped to deal with infiltration of jihadist elements through stricter border control and monitoring of traffic from the EU countries, which have had a considerable influx from West Asia last year. The sender was a hacker who had written a series of provocative memos at the National Security Agency. His secret memos had explained — with an earthy use of slang and emojis that was unusual for an operative of the largest eavesdropping organization in the world — how the NSA breaks into the digital accounts of people who manage computer networks, and how it tries to unmask people who use Tor to browse the web anonymously. Outlining some of the NSA’s most sensitive activities, the memos were leaked by Edward Snowden, and I had written about a few of them for The Intercept. There is no Miss Manners for exchanging pleasantries with a man the government has trained to be the digital equivalent of a Navy SEAL. Though I had initiated the contact, I was wary of how he might respond. The hacker had publicly expressed a visceral dislike for Snowden and had accused The Interceptof jeopardizing lives by publishing classified information. One of his memos outlined the ways the NSA reroutes (or “shapes”) the internet traffic of entire countries, and another memo was titled “I Hunt Sysadmins.” I felt sure he could hack anyone’s computer, including mine. he only NSA workers the agency has permitted me to talk with are the ones in its public affairs office who tell me I cannot talk with anyone else. Thanks to the documents leaked by Snowden, however, I have been able to write about a few characters at the NSA. There was, for instance, a novelist-turned-linguist who penned an ethics column for the NSA’s in-house newsletter, and there was a mid-level manager who wrote an often zany advice column called “Ask Zelda!” But their classified writings, while revealing, could not tell me everything I wanted to know about the mindset of the men and women who spy on the world for the U.S. government. Should Cyber Warfare Have Its Own Branch? If cyber warfare remains just a niche within military services, the U.S. will never be able to develop the talented warriors it needs. In 1947, the U.S. defense establishment finally recognized that airpower was an environment distinct and separate from sea or air. It required specialized knowledge and training, as well as a service culture that did not subordinate airpower to other functions within that service. The U.S. Air Force was created as a separate, independent service. The other services retained air arms devoted largely to their respective tactical and operational needs, such as the Marine Corps’ and Army’s close-air support. The Air Force was responsible for the big picture, aviation in general support and for strategic airpower, including the nuclear bomber and intercontinental ballistic missile forces. Those lines have been blurred, redrawn, and blurred again over the past half-century, but the paradigm has generally worked well. This was especially true during the Cold War, where air power from missiles and bombers was the center of gravity for the decades-long standoff. WASHINGTON: Trust your robots. Trust your tech industry. Trust your troops. Let go of traditional mechanisms of control — be it a human pilot in the cockpit or a formal requirements document for a program — that increasingly serve to slow you down. That was the message between the lines when Defense Secretary Ashton Carter and his protégé, Strategic Capabilities Office chief William Roper, spoke Friday afternoon at theDefense One Tech Summit. It’s not an easy message to hear for the military, with its deep-seated conservatism when people’s lives are at stake, or for Congress, with its zealous, jealous oversight of each taxpayer dollar. But it’s essential to the success of the new approach to high-tech warfare that Carter is calling the Third Offset Strategy. GAO-16-501: Published: May 18, 2016. Publicly Released: Jun 21, 2016. While the spotlight on cybersecurity has been magnified and the Internet of Things has made almost any item connectable to a network, ownership of protecting the network can no longer be limited to just cybersecurity professionals. That was the message of a panel cyber experts from the Department of Defense, Defense Information Systems Agency and the U.S. Navy; gathered at the Armed Forces Communications and Electronics Association’s DC chapter meeting on June 15. “Cybersecurity people can’t really do cybersecurity,” said Richard Hale, DoD deputy chief information officer for cybersecurity. The panel discussed the future of cybersecurity and efforts by the federal government to adapt its rapidly changing environment. As the pace of connectivity spurs forward, the job of protecting the networks has also expanded, often beyond the resources of the people meant to protect them. DISA Chief Technology Officer David Mihelcic said that because of the speed and adaptability of bad actors, cybersecurity has now moved to a kind of horizontal altruism that affects multiple elements of the information technology industry. The Senate Armed Services Committee (SASC) recentlyproposed a 25% reduction across the board for general officers. The bill would cut the number of four star officers from 41 to 27, representing one of the largest reductions in modern history. Do You Think These Generals Should Be Fired? Getting rid of a large number of generals is not a new idea. Then-Secretary of Defense Chuck Hagel proposed cutting the number of generals by 20%, but was not in office long enough to achieve his goal. Secretary Robert Gates, who served under Presidents George W. Bush and Barack Obama, once proposed reducing the number of generals by 50 as a cost cutting measure.